How Do I Add Product Options in My Online Store? How Do I Connect PayPal to My uKit Store? How Do I Connect Wallet One to My uKit Store? 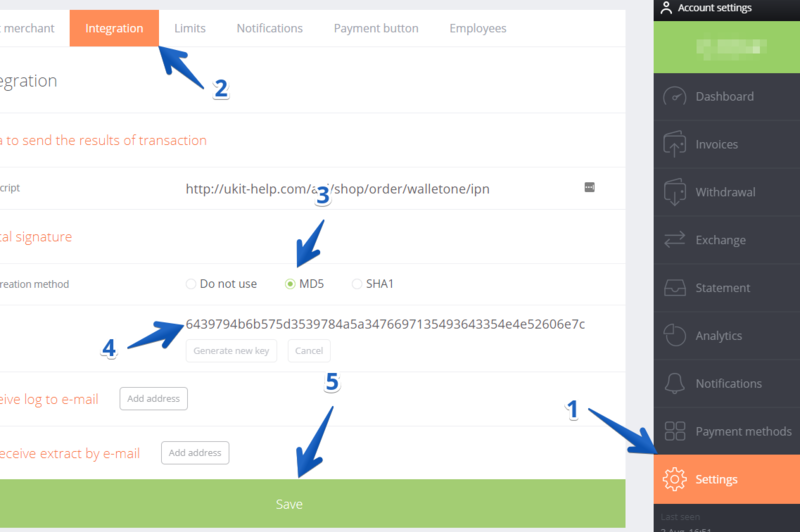 Wallet One Checkout is a payment processing system that supports more than 100 payment methods including bank cards (VISA and MasterCard), online banking, sms, payment kiosks, bank offices and other. You can choose either personal or business account depending on your purposes. Learn more about payment methods for your online store and Wallet One pricing on their website. 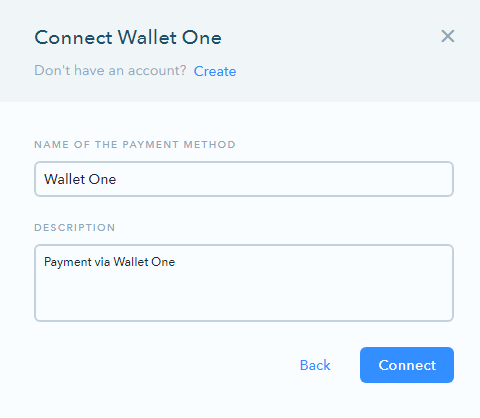 To connect Wallet One to your store, go to Store settings > Payments, find Wallet One on the list and click Connect. 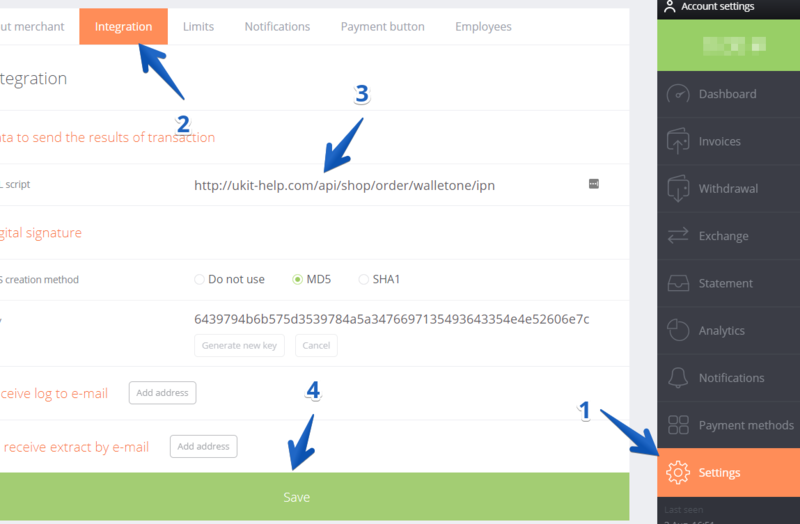 Create an account or log in if you already have an account with Wallet One. 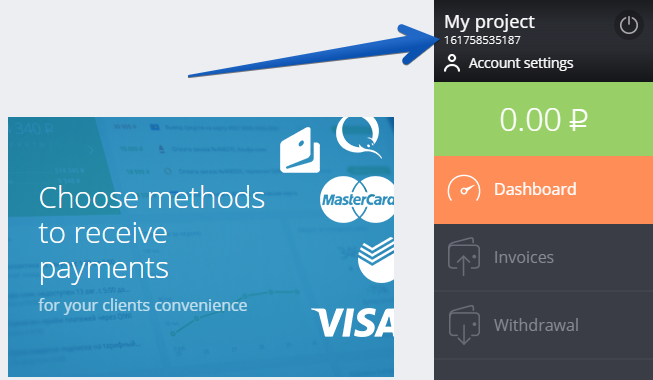 Add a project and activate an online store account by following the tips. 2. Where do I get the MD5 key? Go to Account Settings > Integration, and enable MD5 next to EDS creation method. After that, you will receive a key below. 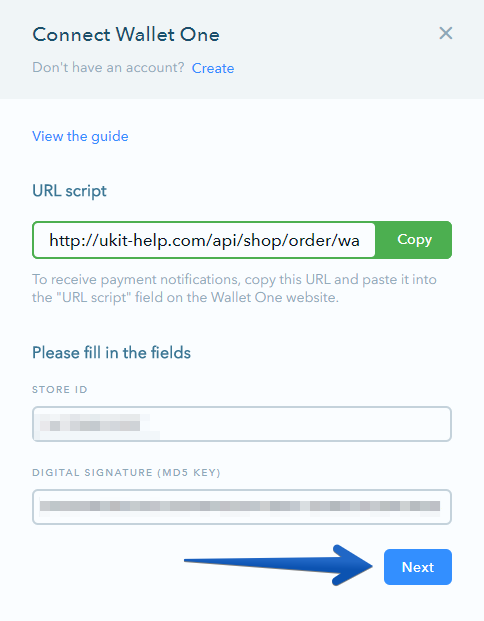 Copy the key and paste it to the Wallet One integration form on uKit. 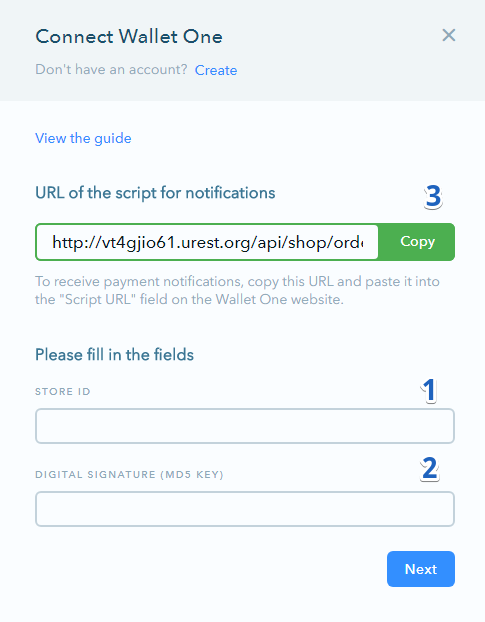 Copy the URL script you can see on uKit and paste it to the Integration tab of your Wallet One profile, and save the changes. Go back to the uKit Dashboard, fill in the required info and click Next. 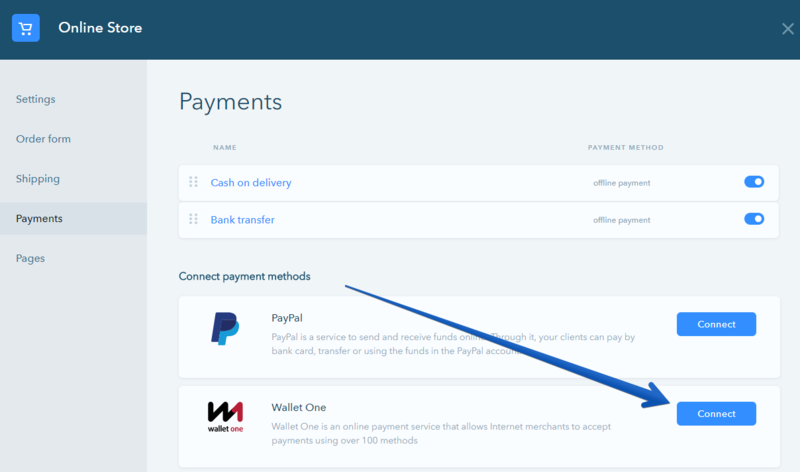 Enter the name and description of the payment method and click Connect. 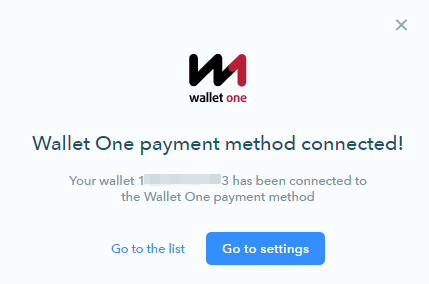 Wallet One is now successfully connected to your online store.